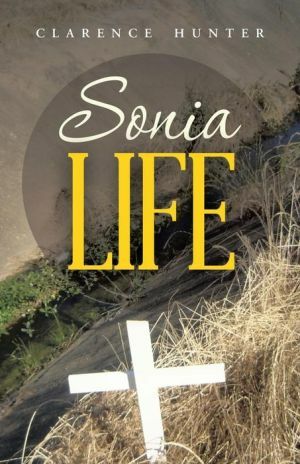 Befitting young adult readers and even teens, “Sonia Life” by Clarence Hunter (Abbott Press. 2014) is told in the distinctly familiar voice of 14-year-old Curly who reflects on the life—and adventure—of residents living in the small, rural community known as the Sonia in Alexandria, Louisiana. The Sonia is full of men “who worked hard all week and drank all they could in the weekend” and “colored people brought the same clothes” from the segregated stores Downtown. They could buy what ever they wanted to eat from the stores and restaurants but had to leave to enjoy it “due to the white-only counters.” But the Cotton Club was where they met their friends and their enemies. It’s 1957 and the integration of schools has just became law but they didn’t know. So, Curly, his brother, and three friends take safaris out of the Sonia, through nearby woods where hobos live, and into the segregated city. Because of their quick thinking, unofficial leader, Joe, they pick up odd jobs starting with unpacking the truck for Mr. Jump the Boogie, the Sonia’s newest resident, and picking up trash at the white-only city zoo. Joe convinces Jump the Boogie to pay them $5 and the boys move on to a busy day of safari adventure that gets them temporarily kidnapped. Ray gets hurt by a swamp snake the boys kill while hunting for turtles, bullfrogs, and crawfish to eat in their clubhouse. Then, Curly gets attacked by an angry father and the throat chocking reminds him of the recent killing of Emmett Louis Till. This seems to occur all on the same day. Hunter, who is a native of Alexandria, La., created this fast paced, 98-page novella that zooms through three days before Hurricane Audrey hits the town. It is the aftermath that the true lesson of Sonia Life is revealed—and an appreciation for history, culture, and community rests with the reader. A refreshing read. BuytheBook.